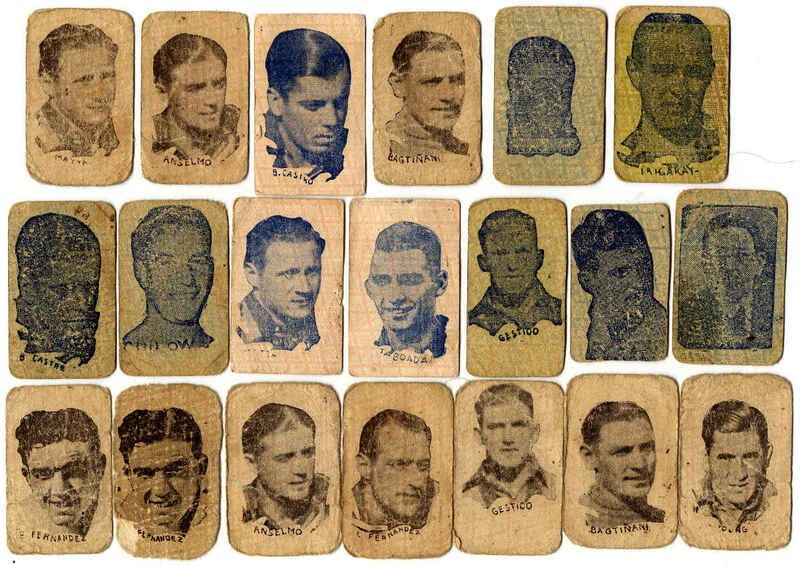 Above: Miniature children’s playing cards depicting photographs of football players on the reverse, all with shiny haircuts. 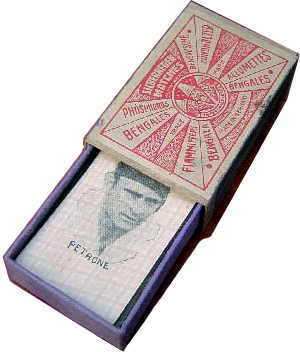 Similar mini-packs were published showing popular heroes and celebrities and proverbs and maxims. Cards of this type are examples of playing cards used for educational purposes besides providing entertainment value to young people. Educational or Instructional playing cards have been around since the 16th century. See also: Proverbial Cards, 1698 • Mechanical Instruments, c.1700 • Cartes Questions-Devinettes, c.1840 • Happy Families • Jaques' Illustrated Proverbs, c.1885 • Spanish Instructional Cards, 1888 • Children's Maxim Cards from Uruguay • Change for a Shilling, c.1930 • Indian Alphabetical Cards, c.1940 • Wild Flower Sevens card game, 1960 • Snip Snap, 1968.